Voyage like the Vikings of old on a new, 12-night expedition cruise package from Iceland to Greenland next July, with a 15 per cent saving for couples or no single supplement for solo travellers offered by Adventure Canada in partnership with small ship specialist, Cruise Traveller. Guests begin their journey on July 13, 2019, in Iceland, located at the edge of the Arctic Circle and homeland of the Vikings. After a free night’s accommodation in the Icelandic capital of Reykjavik and a full day to explore the small, quirky city, guests will board Adventure Canada’s 198-passenger, eco-friendly vessel, the Ocean Endeavour, on an 11-night expedition to Greenland. With a short stop at the volcanic Vestmannaeyjar islands of Iceland, home to Eldfell – the youngest volcano in the world, the expedition follows the journey that the Vikings like Eric the Red made millennia ago, as the Ocean Endeavour makes its way across the Denmark Strait to the icy realm of Greenland. 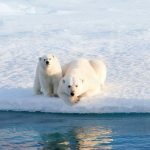 Here, guests will have a day of exploration with the opportunity for Zodiac excursions to get close to some of the region’s unique wildlife such as polar bears, seals and humpback whales. * Prince Christian Sound, where narrow sharp peaks surround both sides of the vessel and icebergs emerge from the waters surface. * Hvalsey church – the best-preserved Norse ruin in Greenland, with the last known official record of a Norse wedding dating back to 1408. *Brattahlid, a UNESCO world heritage site that was once home to the famous Viking explorer, Erik the Red. * Nuuk, the capital of Greenland, bridges old and new with modern shopping, restaurants and cafés lining the streets as well as the Greenland National Museum, where the world-famous Greenland mummies are kept. The expedition ends in Kangerlussuaq in Greenland, where guests will transfer to the airport for their flight to Toronto, Canada, where the package ends. 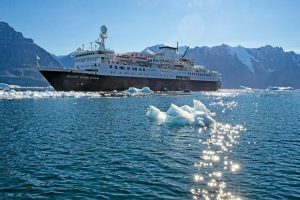 Beginning July 13, 2019, and including one night’s pre-cruise stay in Reykjavik, post-cruise flight to Toronto as well as all shipboard meals and zodiac shore excursions, the ‘In the Wake of the Vikings’ cruise is available from US$7530 per person, twin-share, including the 15 per cent discount for bookings made by January 19, 2019. For solo travellers, fares are available from US$8640, which is the normal, twin-share price, saving solo travellers a single supplement. Flights from Australia are extra. The offers are subject to availability and conditions apply.